As you have probably figured out, many couples have bigger and better ways to use their wedding gifts. Some happy couples want to raise enough money to put a down payment on a new home. Others prefer to donate money to charity. Still others desire to go on the honeymoon that they’ve always dreamed about. Right now, we are going to explore the ins and outs of honeymoon registries. By the time we’re through, you’ll know how to use honeymoon registries and the many wonderful benefits that they provide. Honeymoon Registry: What Is It? We might as well begin at the beginning, right? A honeymoon registry is a different, some might say unusual, wedding registry. Instead of asking friends and family members to buy traditional wedding gifts, you are asking them to make a cash “donation” to you so that you can use this money to get away from it all and go on the perfect honeymoon. Unfortunately, some people feel that honeymoon registries are tacky. We don’t get it. We do not understand why some people feel that these registries are in poor taste. As if asking for money is a bad thing! At this point, most couples already have the majority of the household goods and items that they would ever need. They have more towels, forks, and dishes than they could ever imagine. Why bog them down with even more unnecessary stuff? Many couples love to travel. When you choose a honeymoon registry you have the opportunity to raise money that you can use to travel the world. If you happen to love visiting exotic locations all over the world, this is going to be an excellent option to seriously consider. How Do Honeymoon Registries Work? To take advantage of this incredible phenomenon, you’ll have to go to a website like Honeyfund and create an account. Once there, you can then set up your honeymoon registry according to your wants and desires. Creating a registry is easier than you think. The process is often as simple as signing up, creating an account, and then setting up your page according to your needs and wants. It really is that simple. Can We Register for Anything? Absolutely! When you set up your page, you’ll be able to add any item to your registry that you want. Instead of sharing a specific vacation destination, you can tell your friends and family about particular activities that you want to do and tell them the name of the activity, the cost, and even write a brief description. These registries make it easier than ever to raise money to visit the destinations that you’ve always dreamed about. On a side note, Honeyfund has a sister site named Plumfund. If you want to raise money for things other than a honeymoon – i.e. a down payment, charity, etc. – then you’d be better off signing up at that website and creating a registry page there. How Do Our Guests Give Us Gifts? 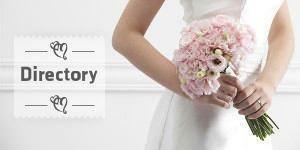 The guest will simply go to your honeymoon registry page and pick something that they would like to give money for. During this process, they can choose the amount of money that they would like to give toward a specific entry on your registry. How Do We Receive the Gifts? To receive gifts, some will come in the form of cash or a check. Others will choose to pay by credit card. The honeymoon registry will send you the money via electronic bank transfer when a credit card is used. See how easy it is to set up a honeymoon registry? Take advantage of this incredible phenomenon today and forget about getting gifts that you’re only going to stuff in a closet and never look at again. Wendy Dessler is Outreach Manager for Honeyfund.com, the world's most popular crowdfunding site for weddings, honeymoons, down payments, charities and more.